The eTwinning and Biber projects launched by Schulen ans Netz are presented on their own stands. 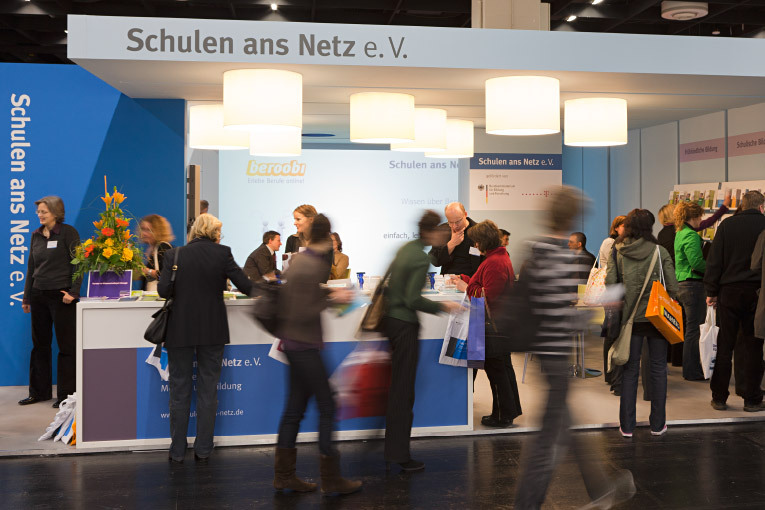 The stand design is based on the design of the Schulen ans Netz stand and is characterised by clear lines and large, calm areas of colour: eTwinning in yellow and pale blue, Biber in green and SAN in shades of blue. Common features of all booths are the spacious communication and presentation areas.